We talk about anything that comes to my mind it's anything goes. Today in this podcast we discuss Art Bell return in July and music royalties rights issue with podcasting and radio. We talk about Howard Sterns feelings on podcasts. We talk about House Of Cards Season 3 and Hemlock Grove final season. We talk about Bosch on Amazon Prime and prime original programs. We talk about Permaculture Business, my Garden and Microsoft 360 azure outage. We talk about LLC corporations and business insurance. We talk about the technology news of the week and answer your questions. How can I record radio clips? How can I load an Android program onto my PC? Earbuds or over head phones? How can I improve Skype for podcasting? Today in this podcast we discuss our new Live Audio Stream and my awesome 60 meg internet connection. 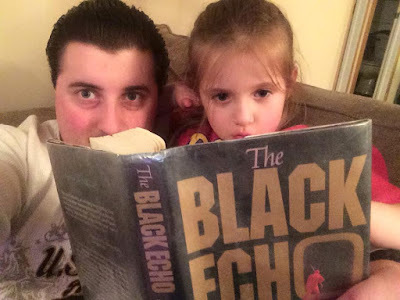 We talk about the book I am reading The Black Echo and Bosch on Amazon Prime. Virtual reality, 3D and Google Cardboard. We talk about the Paltalk Awards and the H1Z1 game. We discuss my love for Anime. We talk about the technology news of the week and answer your questions. Is it possible to use a Chromecast with my phone’s internet connection? What PC should I get for Minecraft? Is it true if I have windows 8 I will be upgraded to 10? Should I get an AMD or Intel processor? What do you prefer audible or audiobooks.com? Today in this podcast we discuss my homestead project and my AMA on reddit. We talk about Bosch on Amazon Prime and Michael Connelly book series. We discuss my geek tv line up. We talk about the technology news of the week and answer your questions. With a smart phone do you need a pedometer? What infrastructure do I need podcast? I know you bow hunt want kind of bow do you use? Why can’t I view my security cameras outside my house? Today in this podcast we discuss RadioShack being shutdown and Uber app being taken on by cab companies. We talk about fitness apps and iPhone apps. We discuss my podcasts I like Stone Cold Podcast, The Survival Podcast and Art Bell . We talk about the technology news of the week and answer your questions. What apps do you use for fitness monitoring? Whats apps do you use for Ham Radio? What apps do you use on phone everyday? What do you think of twitter changing WWE storylines? BLS - That Made The News Why?